Home » Blog » Will Replacing Windows Add Value to Your Home? Sure, new windows may sound like a great idea, and they probably are. But the big question for many families is whether they will be worth the expense. After all, you may be weighing your options and trying to decide between several different projects that all seem incredibly important. 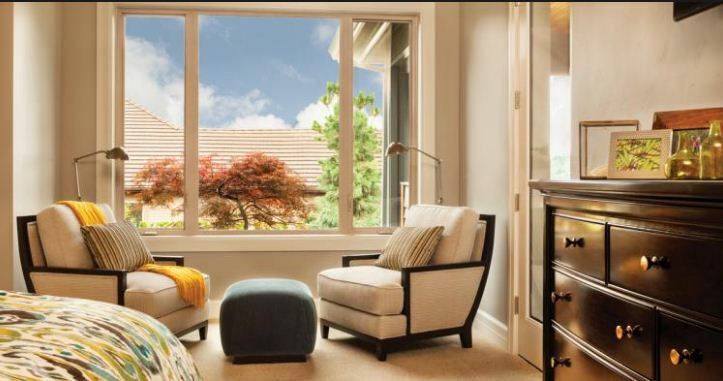 If you or someone you know is looking for replacement windows in or near Queen Creek, AZ, you should rest assured that windows are absolutely vital to your home and can actually increase its value quite a bit. So if your decision hinges heavily upon financial considerations, remember that replacing your windows should be pretty consistent with your overall priorities. Those priorities may well begin and end with one question. Will replacing my windows actually add value to my home? There is no doubt that replacing your windows can in fact add significant value to your home. Let’s do the math. Recent studies have shown that replacing windows can achieve a return on investment (ROI) of at least 80 percent. That means that an expenditure of around $10,000 can increase your home’s value by more than $8,000. That’s a pretty good deal in the final analysis. And when compared to other kinds of home improvement projects, that return ranks among the most lucrative investments you can make in your home’s future. In fact, if you are looking into a broader remodeling of your home’s exterior, windows should likely be included alongside other considerations like roofing and siding. Windows are one of the very few things that seriously impact your home’s interior and exterior alike, changing how it looks, feels and functions. So what makes newer windows so valuable? For one thing, windows are an important component when it comes to your home’s insulation from the elements. Windows keep air where it belongs. And newer windows tend to do a better job than older ones. In fact, if your current windows were installed before the 1970s, they may not be double-paned, and that’s a problem when it comes to energy efficiency. Newer windows can enhance that efficiency and thereby reduce energy costs over the course of time. Newer windows also send an important message to prospective homebuyers. They suggest that your home has been well-maintained and that there will be at least one less project for any new homeowners considering your home. Potential homebuyers notice things like windows, sometimes before stepping foot in your home. Given the extent to which many homes are first viewed online, the way your windows look may stand out. That could be a good thing, or a very, very bad thing in the event that your windows look old and dated. Windows make a difference, and that shows up in dollar signs, too. If you are seriously interested in replacement windows in the Queen Creek, AZ, area, consider reaching out to Cougar Windows & Doors. We pride ourselves on addressing your home’s needs in a timely fashion and doing what’s right for you and your family. You can visit us at 3820 E Main St Ste 5, Mesa, AZ 85205 or place a phone call to (480) 699-9066.